In the first installment of the series we went over everything about the Step Up in terms of benefits, choosing the correct box height and also proper technical execution. We also mentioned the variability of the exercise being a great reason for its use; however, we didn’t go over any of them. 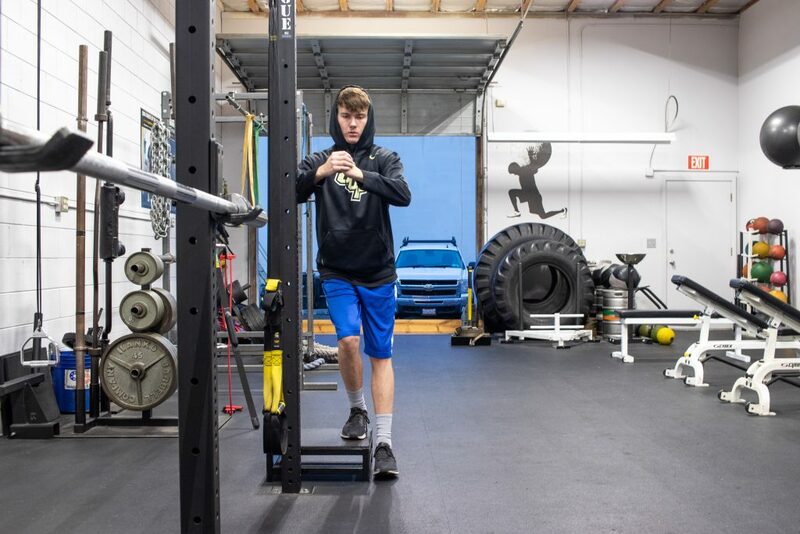 Fear not; in this article and video we will go over many of the variations that we use here at the gym for our athletes and clients giving you the opportunity to choose the appropriate one to add into your training program. 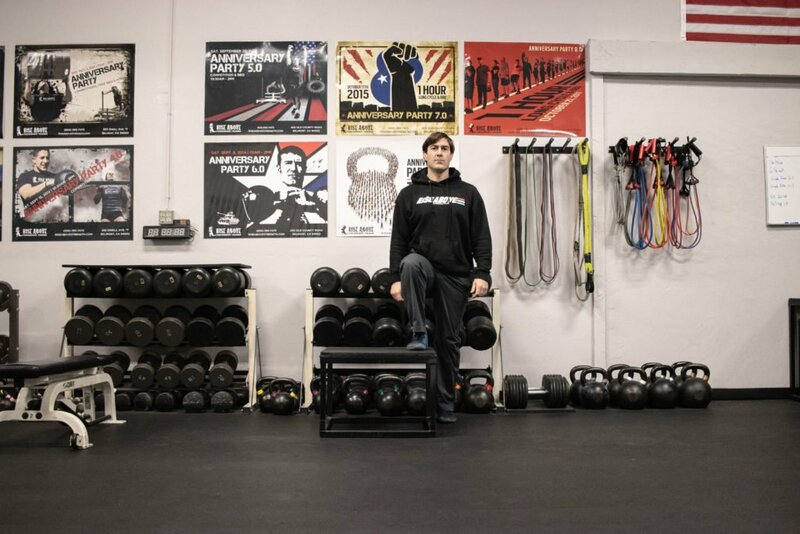 Before we get started; if you want to check out the first article and video in the series click on the link for Single Leg Step Ups Techniques and Tips. Double Low Dumbbells or Kettlebells – Holding either two dumbbells or kettlebells down low by the sides; this is usually the way we progress most of our clients after they master the bodyweight version. Kettlebell Goblet Hold – Holding a single kettlebell in the goblet position were the handle is just under the chin. It is also a good beginner progression and adds the challenge of keeping the chest up with your core strength, as the weight naturally wants to bring it down. Single Low Dumbbell or Kettlebell – Holding one weight down low is a great hip and core stabilizer, as the weight wants to pull the body towards that side. Racked Kettlebell – A kettlebell offers a nice variation over the dumbbell as it can be racked in by the chest. 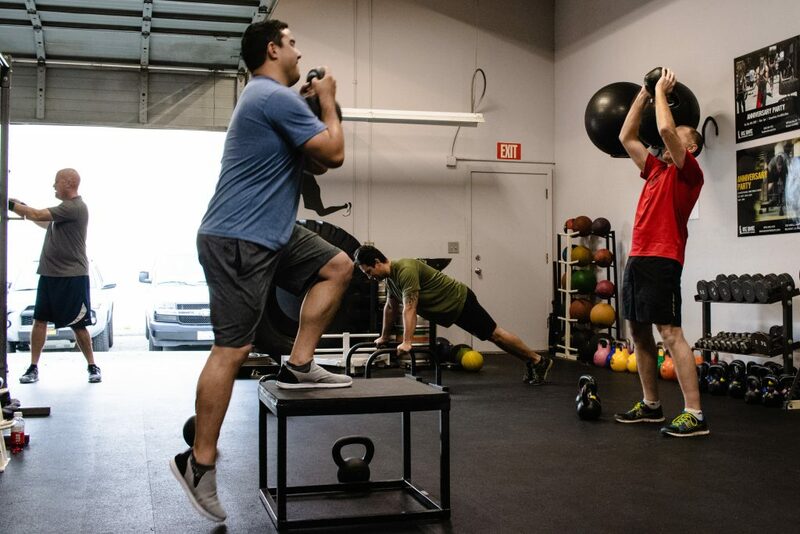 A single racked bell is the easier version of the two even though the weight is loaded on one side of the body, compromising core and hip stability. Racking two kettlebells is a very tough variation that we rarely use at the gym. Not only does it challenge the core strength by wanting to pull you forward and down, it also constricts the breathing with the weight resting directly on the chest and diaphragm. 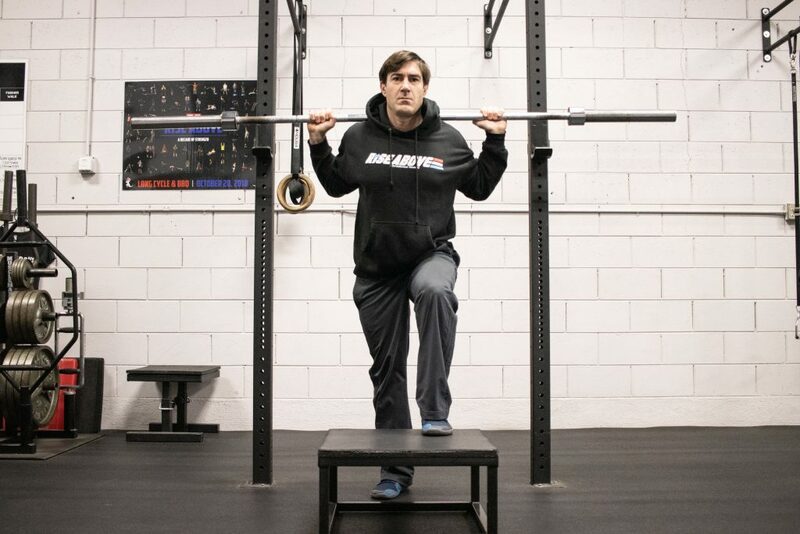 Barbell Step Up – The barbell offers its own set of challenges with core stability and leg strength. We will go over this one specifically later in the article and video. Almost any of these weight variations can be used with any of the exercise variations we are going to discuss going forward; it is all a matter of what you want to focus on during your training regimen. After mastering the traditional step up and working on some of the different weight loading variations, give this version a try. 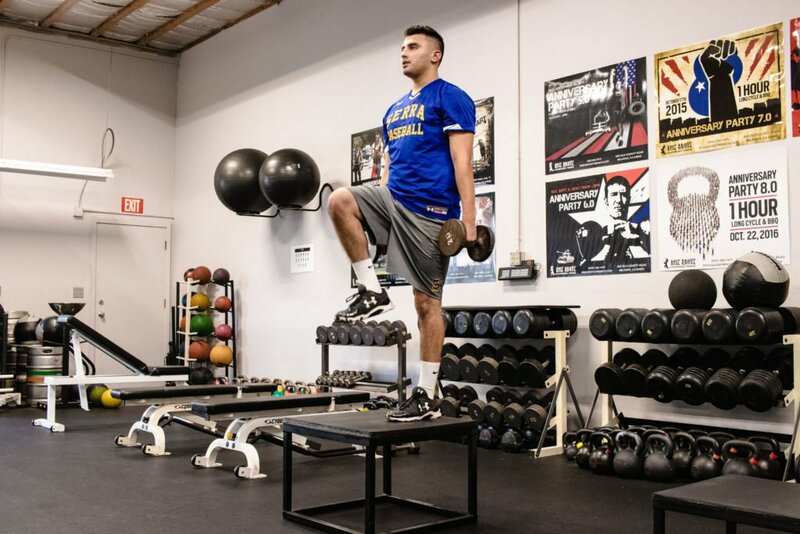 After performing the step up and extending fully through the hip; drive the free knee upward until this leg is at a 90-degree position with the thigh parallel to the floor. This version of the step up adds emphasis on vertical leg/knee drive which is effective for producing power for jumping. When you also drive the free leg upward it will not be placed on the box, therefore challenging the balance and stability of the working leg. For this version you will have the step on either side of your body to start. Place one full foot on the step, set up your body and drive upward. Your support leg will be off the ground. This variation is more challenging than the traditional step up as it utilizes more of the lateral stabilizing muscles of the hip and core. It is best to start with a lower step and weight and progress appropriately. Even though the technique is very similar in its execution as the traditional set up; I put this as its own variation because the setup is the key component to be successful with this exercise. First, I definitely think starting with a lower step is the right way to go. With the weight situated directly on the back pushing the body downward, your strength to get up is compromised more than with using low hanging dumbbells or kettlebells. Try to set up the rack so you can face the step that you are going to step up on where you can simply walk forward to unrack and backward to re-rack for safety. After that the step up is the same and as you get better change the variables by adding weight, knee drives or even more step height. 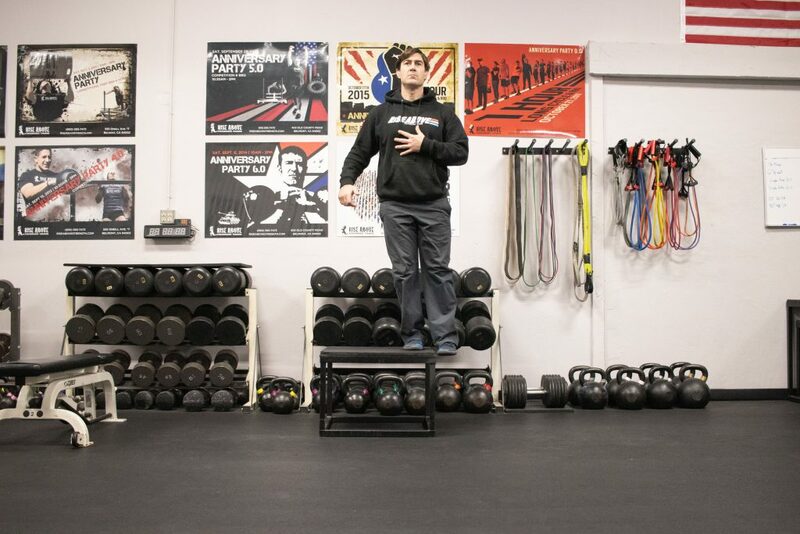 I am adding this one because it is like the lateral step up, however, the focus is going to be on the downward (eccentric) portion of the exercise. I utilize this variation a lot for people with unstable knee joints that need to activate their quads more. They are useful for patella tendonitis recovery and ACL injury prevention. I like to have a post or something to hold onto initially. Have the toes pulled up on the foot that is moving towards the floor. The working leg will be close to the outside edge of the box and then sit slightly back into the hips. While descending, lightly tap the foot on the floor and then rise back up. While performing the exercise, keep in mind, the alignment of the knee as to not have them cave inward. To progress this exercise, you can raise the box height, not use support and possibly add weight. There you have some variations to the traditional step up to help your training have variety and progress.